shanghai bike polo: if you'd like to play, contact me! 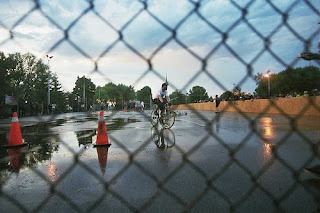 ok so in one night i think i managed to cover the basic grounds for playing bike polo. if you can manage to read through everything i have written, you'll see that it's not too bad! now all i need is for people to start contacting me :) over the next few days i will be sending out e-mails to those i know are already interested, like my friends at speedcat who hooked me up with my awesome fixie.